BUDAPEST, Hungary, 2018-Jun-05 — One of the leading logistics companies worldwide and the market leader in Hungary will join the Budapest Airport cargo community. Kuehne + Nagel representatives have decided to lease both warehouse and office space at the airport, benefitting from advantages of being as close to airfreight operations as it is physically possible. Kuehne + Nagel employees will join the airport community in Budapest as of 1st July 2018, when the airport operator will lease significant area of warehouse and adjacent office space at Budapest Ferenc Liszt International Airport. 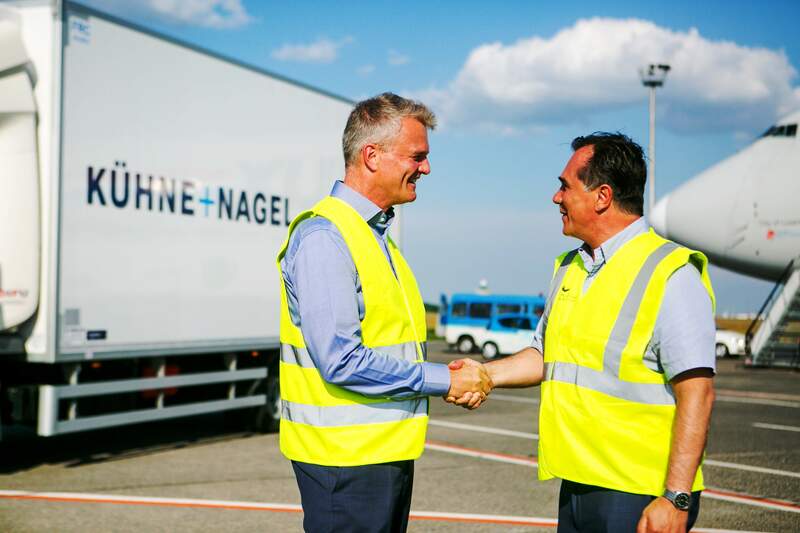 Hungary’s market leading forwarder, Kuehne + Nagel will focus on the future development plans of the cargo business at Budapest Airport. Last summer, two major logistics bases were handed over to two international integrator companies near Terminal 1 of Budapest Airport, this summer the construction of a dedicated Cargo City will commence, with handover planned in the summer of 2019. As an integral part of the BUD 2020 five-year airport development plan of more than 160 million euros, Budapest Airport will further invest into developing the cargo business at the airport. With more and more capacity restraints curbing the development of cargo business in most Western European airports, Budapest has all favorable conditions for the dynamic growth of both traditional cargo flights (like Cargolux, Turkish Cargo, Qatar Airways Cargo and Silkway) and also belly cargo operations. The latter are boosted by no less than four different transatlantic flights this summer, connecting New York, Chicago, Philadelphia and Toronto to Budapest and offering around 10 tons of cargo capacity on each flight to North America. The Kuehne + Nagel air freight division in Hungary will closely monitor all these developments at Budapest Airport, having a widespread operational basis for special or high-value cargo shipments of goods, like pharmaceutical products and other items. Copyright © Travel PR News. All rights reserved.